Summers are almost here and besides LAWN shopping ladies are quite concerned about there FACE-BASE. Yes! I my self is looking for a Matte Foundation that can cope up with my oily-combination skin but gives me a natural look with light to medium coverage, that's what I want in scorching Heat of Asian Summer. 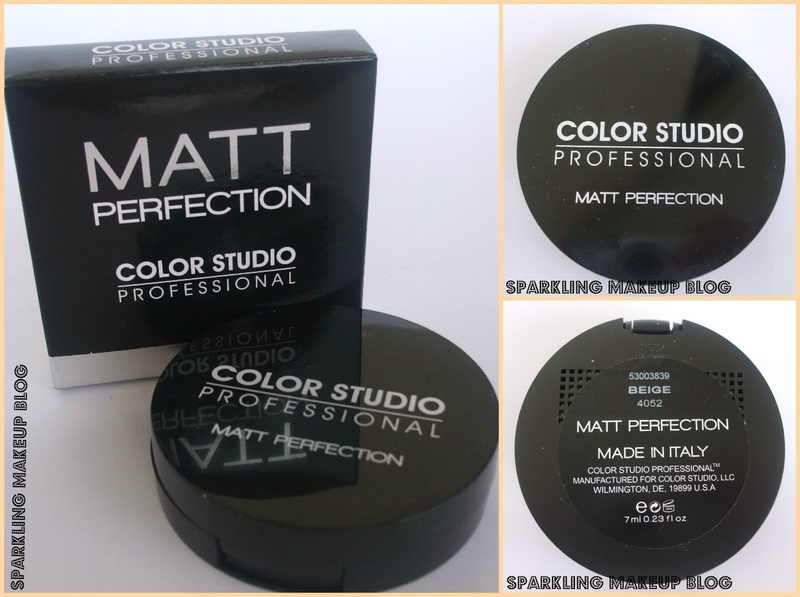 Got to try the newly launched Matt Perfection by Color Studio Pro, which has high claims. Does it live up to my expectations? To Know More Read More!!! The new Matt Perfection Foundation compact’s from Color Studio Professional is a cream to powder formula which glides on the skin smoothly giving you the control for your choice of light to medium coverage. The long-wearing formula covers imperfections flawlessly and feels weightless on the skin. The hydrating texture of the foundation leaves the skin looking well moisturized. The added oil-free properties is ideal for all skin types and will not leave the skin looking flat or cake-y. 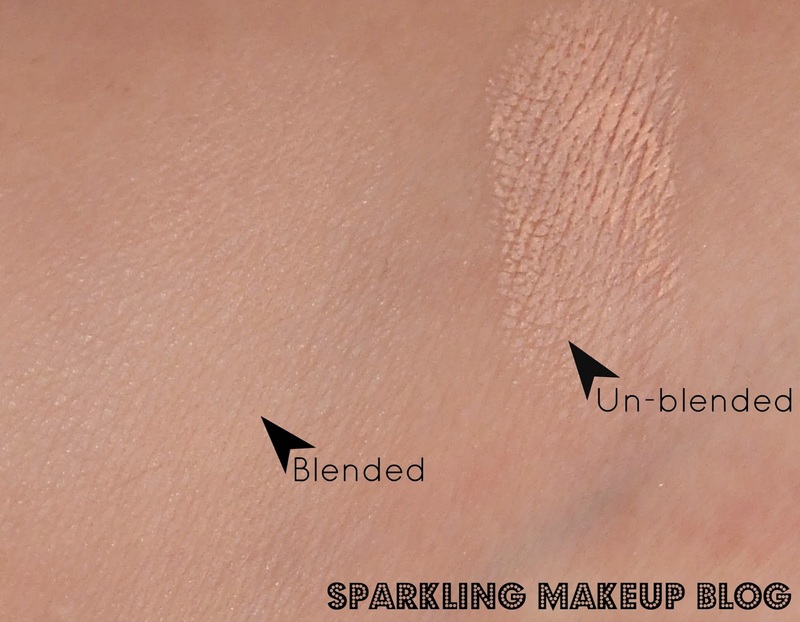 Dry skin types can also benefit from the matte finish foundation since the creamy formula easily applies to the skin to hide any imperfections. The line of matte finish foundation compacts includes 5 shades. I got "Beige". 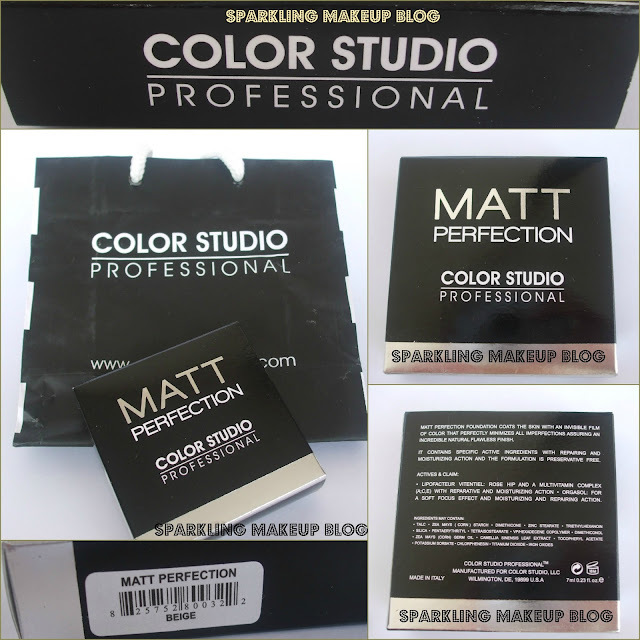 Color Studio Pro Matt Perfection foundation In "Beige"
It is a graceful black sturdy packaging of a compact. With two compartments, one for the foundation pan and the other for the puff. It has a round full mirror inside its lid which is a great help. 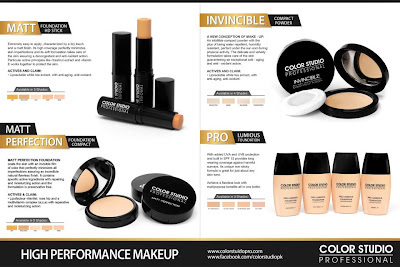 When I received this Matt perfection foundation from Color Studio Pro, from their latest High performance foundation range, I was sure that this is going to impress me as earlier I am using CSP’s Luminous Foundation which is in liquid and has won me for my Winter skin. First of all let me tell you how much I liked the packaging. It is black sturdy with two compartments; one has the pan of cream to powder foundation and the other is hollow in which the foundation puff is placed. The foundation puff is good in quality, its white and in round shape. It has a particular orange fragrance to it, do you remember the POP CONE by Polka ice cream (Pakistan) this smells like its orange flavour. At application time the scent is over-powering then it fades away or may be nostrils get use to it. I personally have no issue with it as it fades away! The foundation can be easily applied with this puff. The full mirror on the inner side of the lid is great help and makes it travel friendly and a help on the go! Now come the application part: I applied it first with the puff and then blended with my fingers. I also blended it with my F-84, blends well any way. It gives Light to medium coverage, fails to conceal or hide any red spots or scars so you will need a concealer to do that for you. It is a shade darker to my skin tone as I never used Beige earlier but after a while it settles into my skin which is good. Moisturizing part is also not that promising as it highlighted my dry patches, even after application of heavy moisturizer. But it was well taken by my oily T-zone. Staying time of this foundation with or without a primer is good say with primer 6-8 hrs and without primer you will need retouching after 4-5 hours. I like to use it without a primer as my MUA primer doesn't get along with it. To set it on the oily T-zone application of pressed powder or translucent loose powder will be a good idea. I amazed how this cream foundation sets on face as a matte powder. 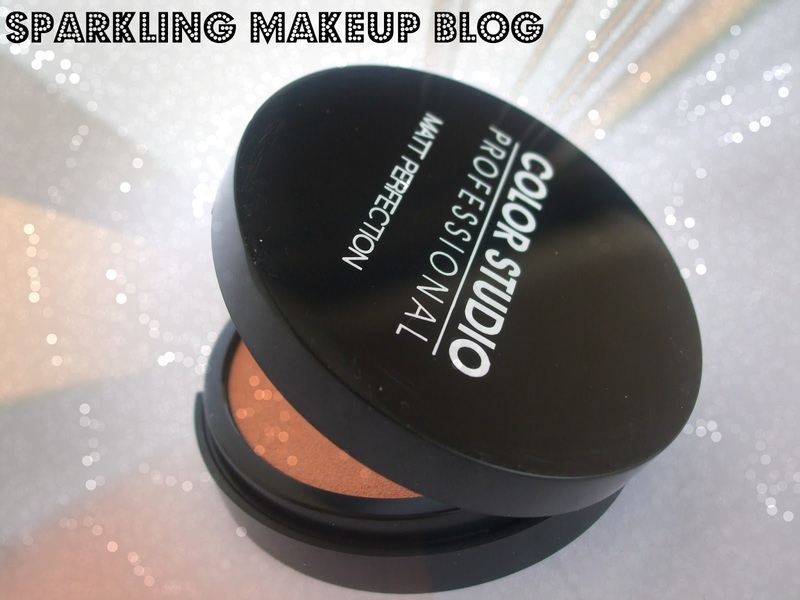 I haven’t used MAC studio fix but I think this can be a dupe for that. Over all it is a good product and I am sure it will be my HG foundation for this Summers. It can be a good companion for anyone who is looking for a Natural looking, light to medium coverage, for work or day-time. Set it with a good pressed powder on T-zone and conceal any spot/scar with your trusted concealer and here you go! It is available in all stores nation wide having Color Studio Pro Counter for Pkr 1200/-. Online it can be purchased from Just4girls and Beauty Arena. To read my other posts on Color Studio Pro Cosmetics, click HERE!!! To read my other posts on Foundations, click HERE!!! Hope you like this post, do comment, share, like, tweet, G+ and pin it. Have you tried any foundation from Colour Studio Pro range? Share your experience! great review.I hope it stays for longer on my skin.Will def try it in summers.